I have been in the crocheting mood as of late. 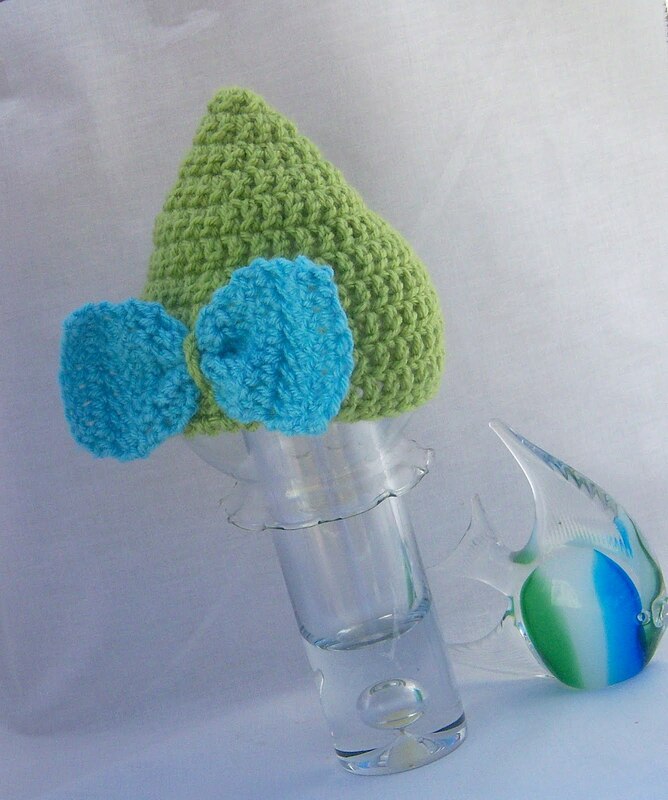 This is a baby beanie hat in a light pea green with a light aqua blue bow. It is available for purchase. 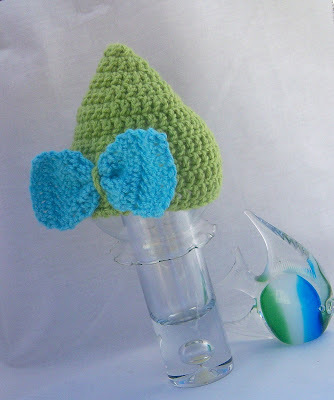 It's size is approximately 16 inches in diamitor that fits newborn to 6 months in size. Please e-mail me for a larger size. I love custom orders. You can get the circumference with a string or a cloth tape measure.